A Videogame Discussion: Club Nintendo Inserts Could Be A Distant Memory Soon! Nintendo has been considering a new way to register your games at Club Nintendo recently. 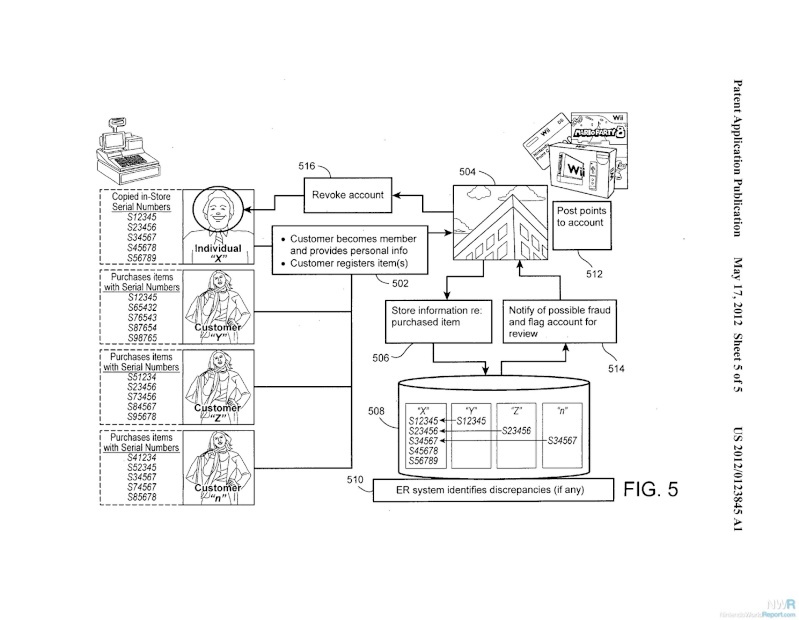 A new patent shows that the codes would be placed on the case of each game and the code would be automatically be registered when the barcode is scanned by a retailer at purchase, furthermore Nintendo could revoke access to Club Nintendo and all linked accounts e.g. eshop/Online services via the future Nintendo Online that could link all services to Club Nintendo to anyone that is suspected of using a code that has already been scanned to help prevent fraud. Authors Comment: Wait a minute, does this mean that a person could have their Club Nintendo account suspended and their ability to play online games and make digital purchases if they buy a used game?! I'm aware that fraud and other issues are very much a problem, but most people that buy second hand aren't trying to commit fraud they simply can't afford the games at full price. I think Nintendo means well and wants to prevent any shady employees at retailers from copying codes and ripping off consumers, but the vague language of the patent could destroy second hand game specialty stores such as Gamestop, Gamezone, and EB Games. Nintendo please don't do this you're a very honorable company and this could potentially damage your reputation with consumers. Anyways what are your thoughts about this? Re: A Videogame Discussion: Club Nintendo Inserts Could Be A Distant Memory Soon! It's like game companies are trying to force everyone to buy games new whether they can afford to do so or not. I wouldn't like this one bit. Please don't forget your honour Nintendo. What the @#$% Nintendo this would be a really bad and not to mention unfair policy for all parties concerned. Utterly ridiculous let's hope this is just a rumor. I doubt this is fake, but the question is will Nintendo follow through with this idea. Looking at how this works I doubt that its viable.